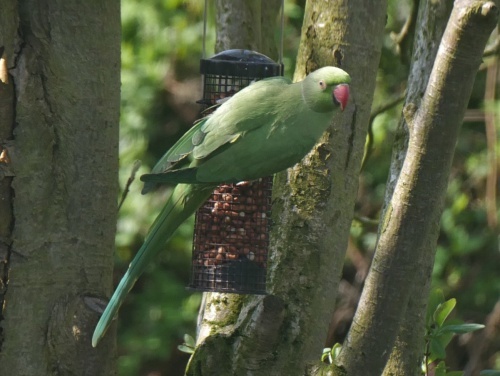 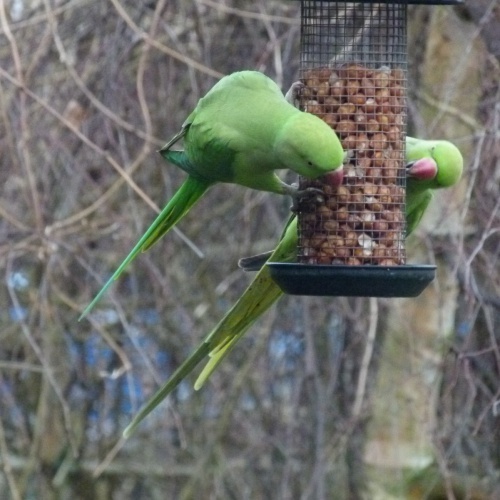 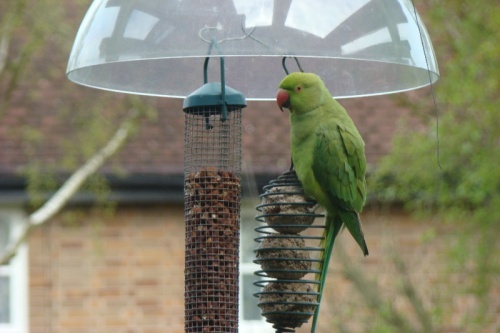 The UK's only naturalised parrot - it is large, long-tailed and green with a red beak. 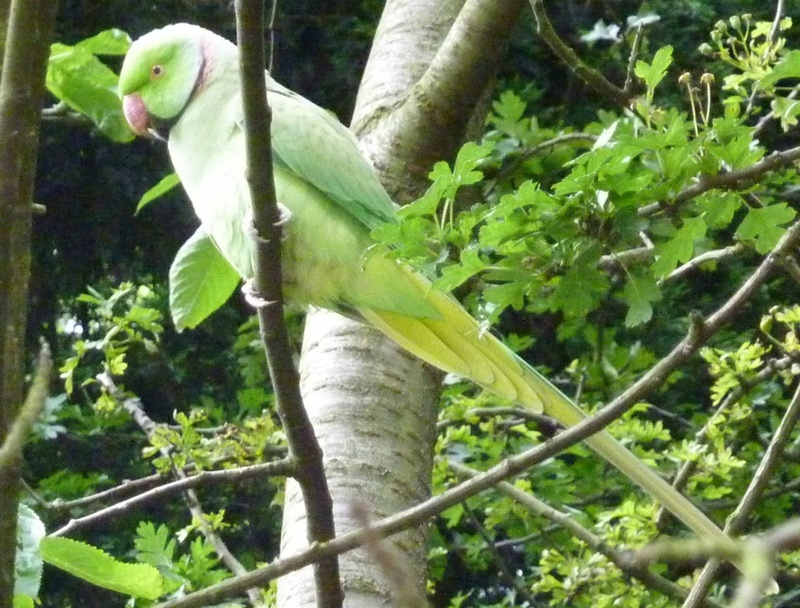 In flight it has pointed wings, a long tail and very steady, direct flight. 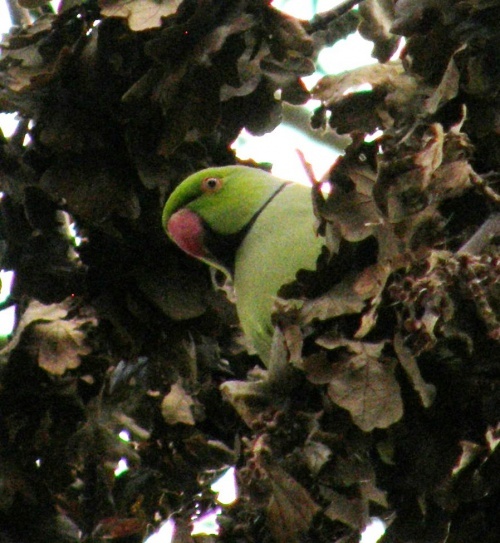 The male has a distinctive pink and black ring around its face and neck, but the species is sexually dimorphic and the hen and immature birds of both sexes either show no neck rings, or display shadow-like pale to dark grey neck rings. Often seen in tree branches and at garden feeders. Often found in flocks, numbering hundreds at a roost site, it can be very noisy. 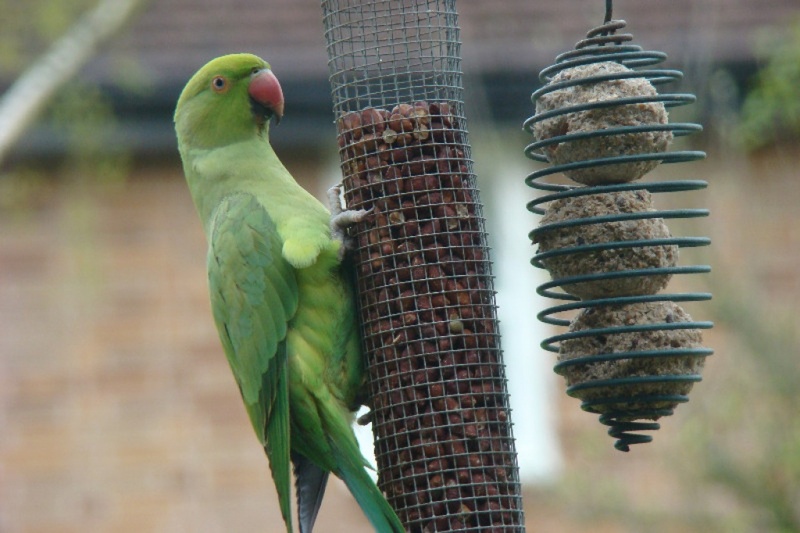 It feeds on fruit, berries, nuts and seeds. 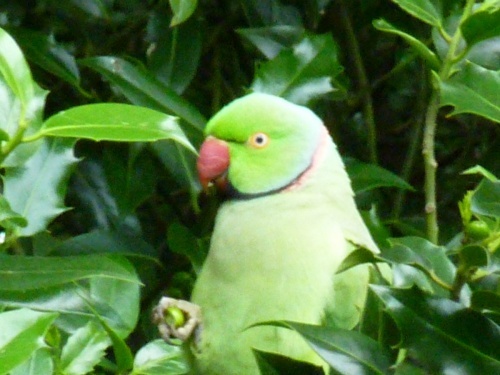 Found mainly in south-east England, particularly Surrey, Kent and Sussex, but spreading further north.